The Sushi Sushi staff is happy to provide fresh sushi for your next event! 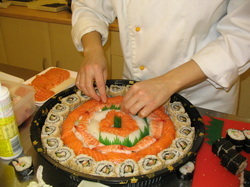 Sushi catering in Portland is a popular choice for several occasions. Whether you are having a lunch meeting at your office or want to bring some fresh sushi to a graduation party, wedding reception or other large event, we can meet your needs. The best deals on sushi Portland provides can be enjoyed for large groups with advance notice. Please contact us at least one week prior to any event where sushi catering is required for 10 or more guests. Any item that is on our regular menu -- including nigiri, maki (rolls), side dishes and desserts -- can be prepared in your desired quantity with enough advance notice. Give us a call, send us an email using the form on the right or stop by the restaurant to request pricing details for a catering order featuring fresh sushi in Portland! 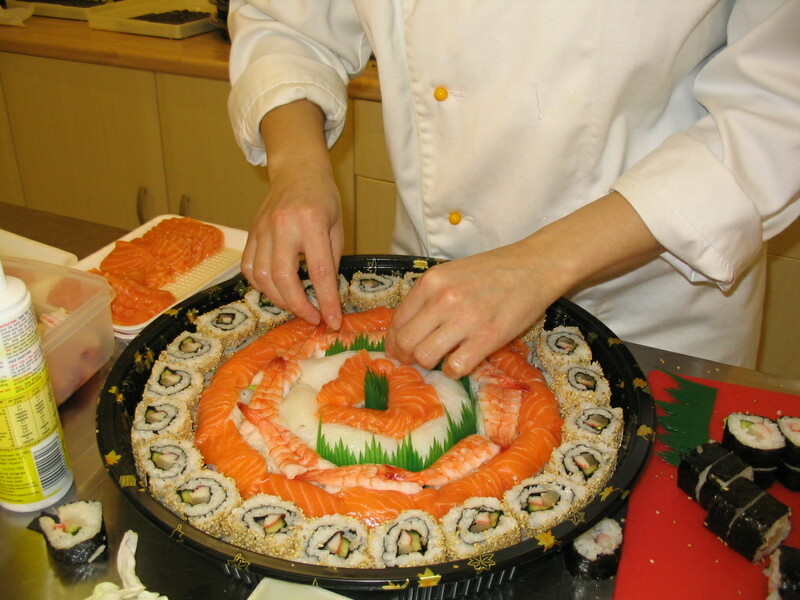 Sushi Catering is Our Specialty! Email Us About Your Event! You Can Never Have Too Much Sushi! The best sushi Portland offers comes at an excellent value. Out staff take time and care with each plate of sushi they craft. The standard sushi items are all here, from tuna and salmon to baked mussels and eel. Ask about our large party seating! Check out what our customers think!